Did you enjoy the video and the new “Lift Me Up” Bundle (142896)? 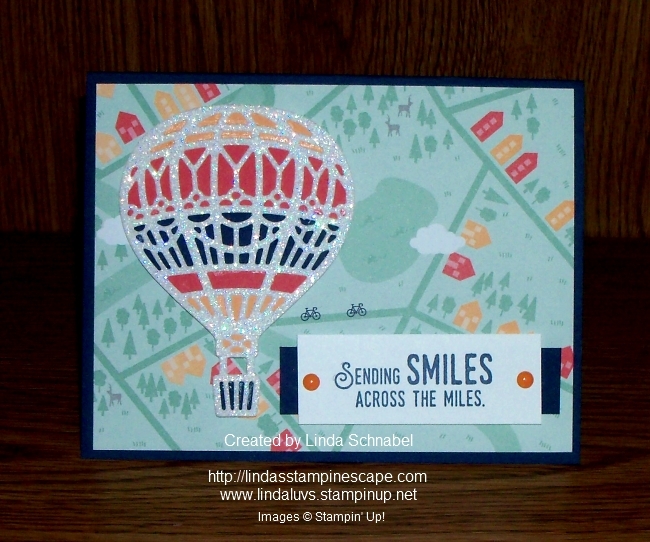 This stamp set and dies are so easy to use, and fun to create with!! Today I’m going to share with you a card I created using this bundle and introducing one of our Sale-a-bration items that you can get for FREE with a $50 purchase (before shipping & handling). Oh … and don’t forget that with each $50 purchase you will also receive a Virtual Rewards point from me!! 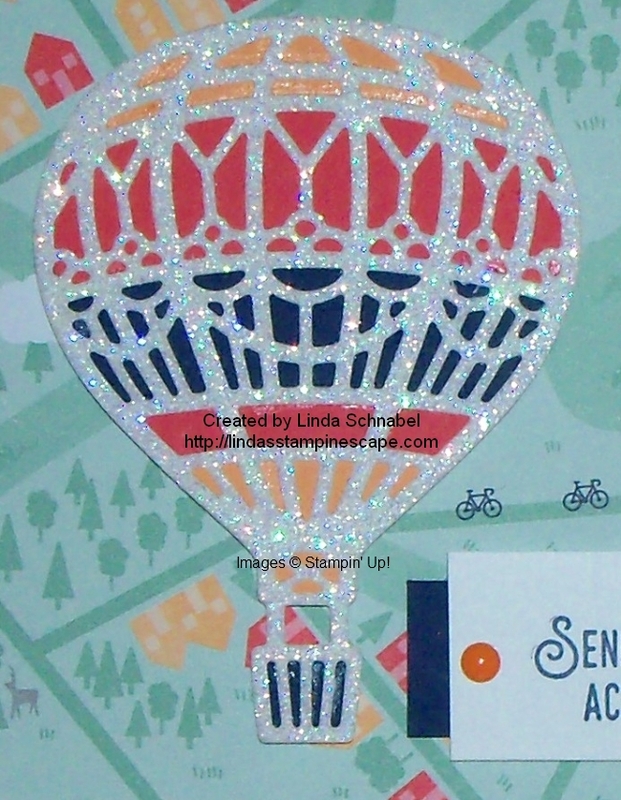 I knew I wanted to highlight the balloon so I die cut the Dazzling Diamonds Glimmer paper. I then pulled out the “Carried Away” Designer Series paper … your FREE items with qualifying purchase. The designer paper is also where I got my color pallet from. The base of my card was done in Night of Navy as is the center and basket of the balloon. I also used it to highlight the greeting. The other two colors used behind the balloon die cut are Peekaboo Peach and Watermelon Wonder … all of these colors are found in the “Carried Away” Designer Series paper. They (Stampin’ Up!) have the dies to cut out the pieces that fit behind the balloon so it makes it super simple to create a really cool design, or ombre look … whatever you desire! The entire card was really easy to make but looks like you put a lot of effort into it. We’ll just keep this our little secret! The Occasions and Sale-a-bration catalogs go live on the 4th … but don’t forget that if it’s bundles you love, you may want to get any from the Holiday Catalog before they are gone. Thank you for coming back to check out my “Balloon Card” … hope you enjoyed it. I love that the paper makes it look like the balloon is really high overhead! Have a great day & don’t forget to send a smile. HOLIDAY BUNDLES… Today’s the last Day to Order! If you want any of these fabulous bundles, get them now for your 10% Discount! Even if they come back next year … they will no longer be bundled.